Verizon plans to launch mobile 5G service in early 2019. They'll launch fixed 5G sooner, but that's strictly for stationary home service. Mobile 5G service is what will deliver blazing fast downloads on the go. The Mod itself is a respectable size and doesn't add too much bulk to the phone. 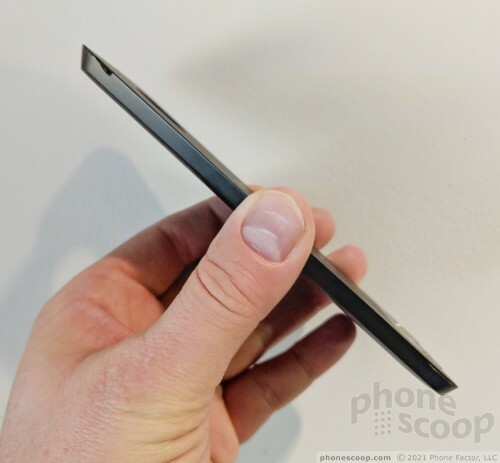 It is about the same thickness and Motorola's battery Mod. 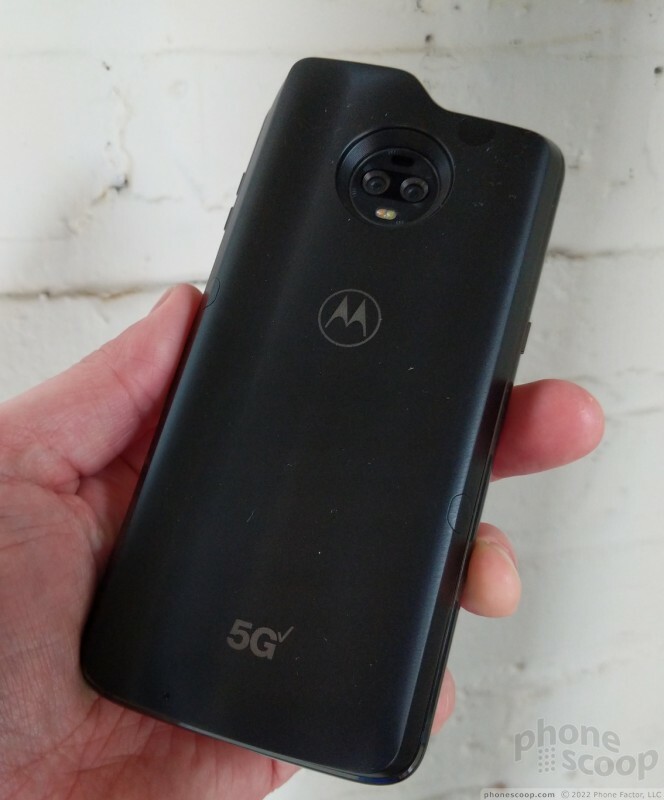 The 5G Mod does have a slightly different profile. 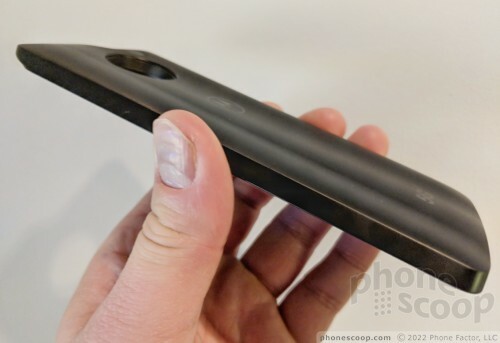 Where the battery Mod is smooth and blends in with the phone, the 5G Mod has a defined edge that cuts into your skin a bit along the side edges. 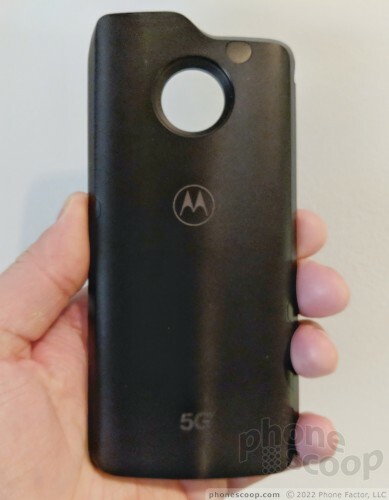 The 5G Mod also has a fin on top. This is specifically to accommodate the radios needed to make the modem work. It adds a bit of weight, of course, but not overmuch. 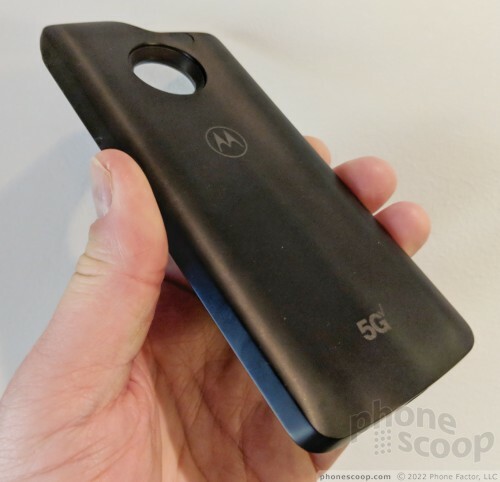 The 5G Moto Mod announced by Motorola and Verizon this week will connect to Verizon's forthcoming mobile 5G network. Verizon plans to deploy 5G (true 5G, known as NR, for New Radio) on 28 GHz (millimeter wave AKA mmWave) spectrum and with fancy technology such as beamforming. 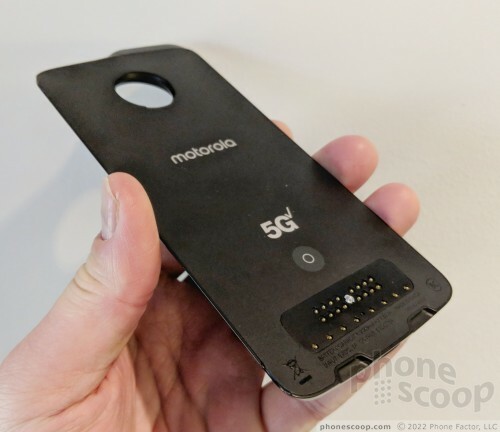 The Mod contains two modems: Qualcomm's X50 5G NR modem and its X24 LTE-Advanced modem. The Mod has its own SIM card (inaccessible to end users) and will carry its own service plan. When the Mod is attached to the Z3 it will replace the phone's internal modem, not just for 5G, but for 4G as well. Motorola's engineers told us that the X24 (4G modem) will take a primary role for normal tasks, such as browsing Facebook. The X50 will kick in and connect to 5G only when it's really needed, such as downloading movies, television shows, or music, or live-streaming video. At launch, the Mod will only work with the new Z3. 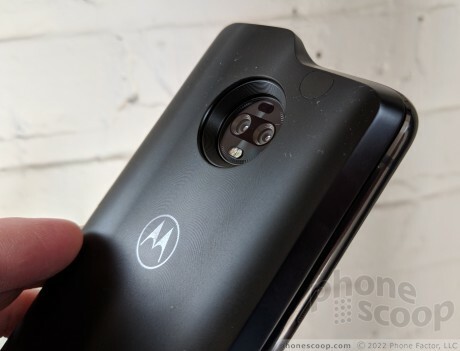 Motorola said it will have to update the older Z2 to make it compatible, and it has no timeline for that right now. 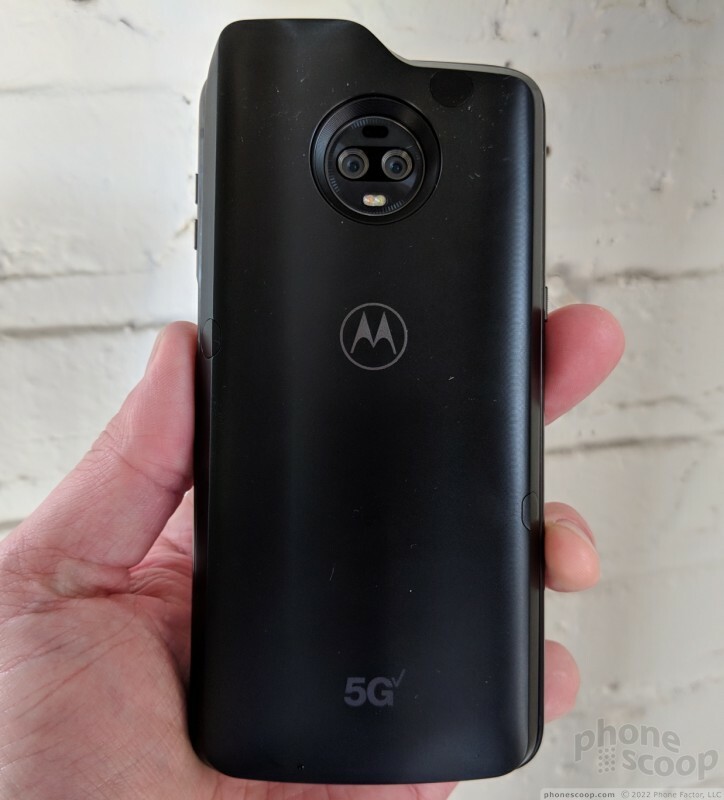 Motorola would not commit to updating the original Z for the 5G Mod. Because mmWave signals have trouble penetrating hands, the Mod contains four antennae: one on top facing forward, one on top facing backward, and one on each side, facing outward. 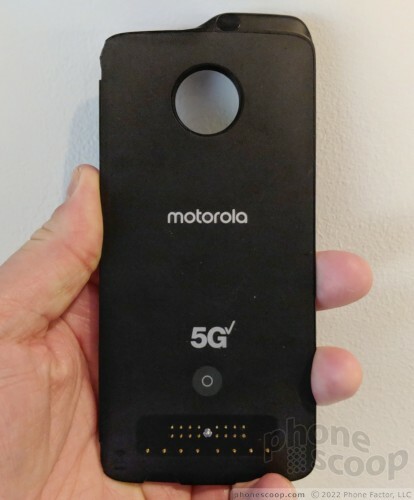 In laboratory tests, Motorola showed us that the 5G Mod is capable of hitting maximum speeds in the 3.5 Gbps range (under optimal conditions). Motorola expects real-world throughput to be about 1 Gbps. On the uplink, lab speeds reach 1.2 Gbps and will deliver real-world speeds in the 350 - 450 Mbps range. When 4G LTE first hit the market it was an absolute battery killer. The power needed to supply LTE connections drained phone batteries in just a few short hours. The 5G Mod has a 2,000mAh battery of its own. Together with the Z3's own 3,000mAh power supply, the combined device will have 5,000mAh. 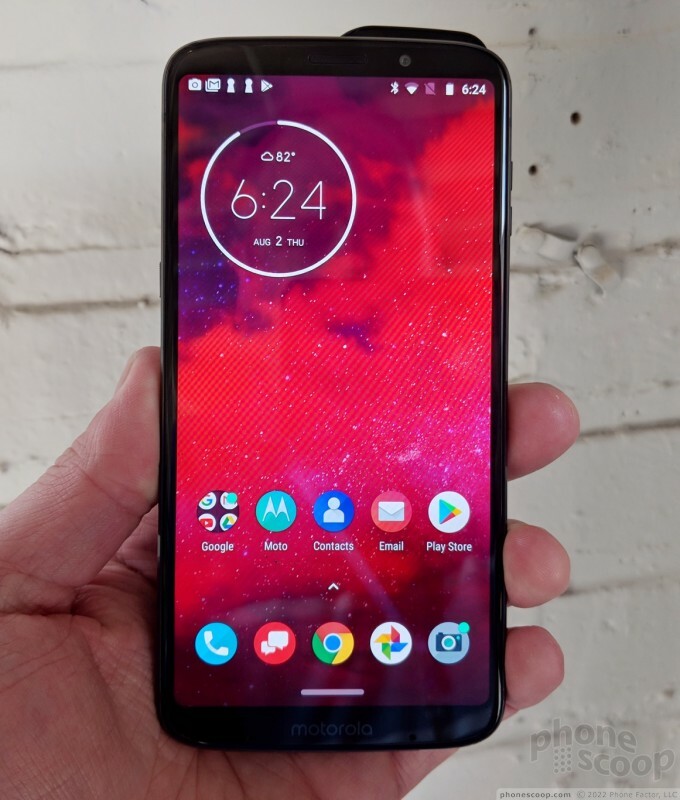 Motorola says this will be plenty to get the phone and Mod through a full day of 5G service. 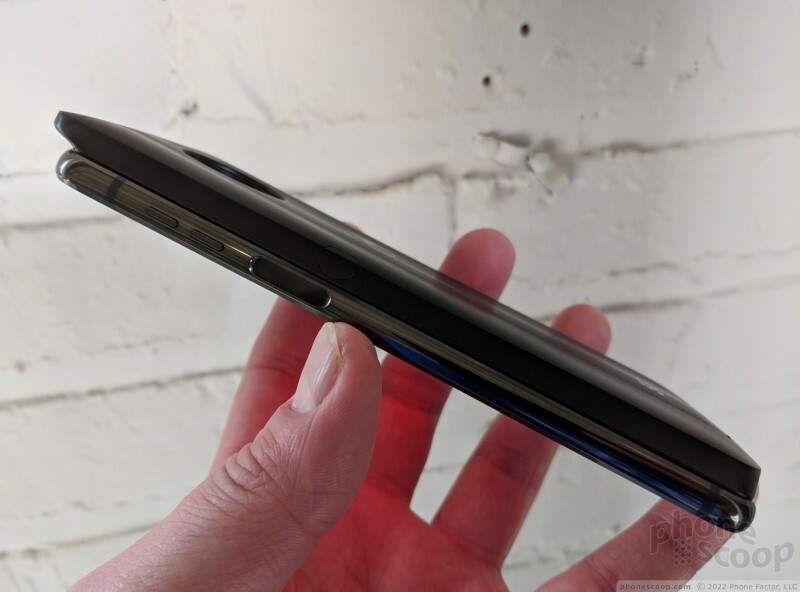 Motorola and Verizon call the Z3 the first "5G-upgradable smartphone." That might be true, but it may not necessarily be the first 5G phone. Other phone makers haven't been shy about the fact that they'll offer phones with 5G baked in next year. It's possible Samsung, LG, or some other phone maker will actually reach the market first. Screaming "first!" is mostly what this is about. Each of the major carriers is clamoring to beat the others to deploying 5G. Each of them is so thirsty for it, it's kind of pathetic. You need only look at the Twitter accounts of AT&T, T-Mobile, and Verizon folks to see the constant back-and-forth. 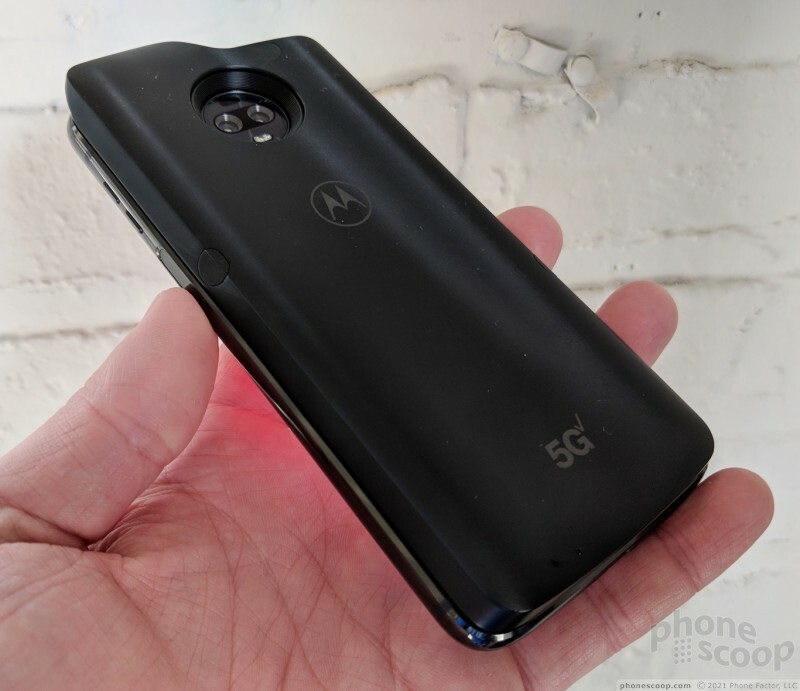 We look forward to testing the 5G Mod from Motorola when it arrives next year.